Freedom to the Max is your online factory outlet for Nelson Fine Art and Gifts, a USA-made manufacturer of voting and American values gear, military themed gifts, patriotic apparel, and state pride souvenirs. 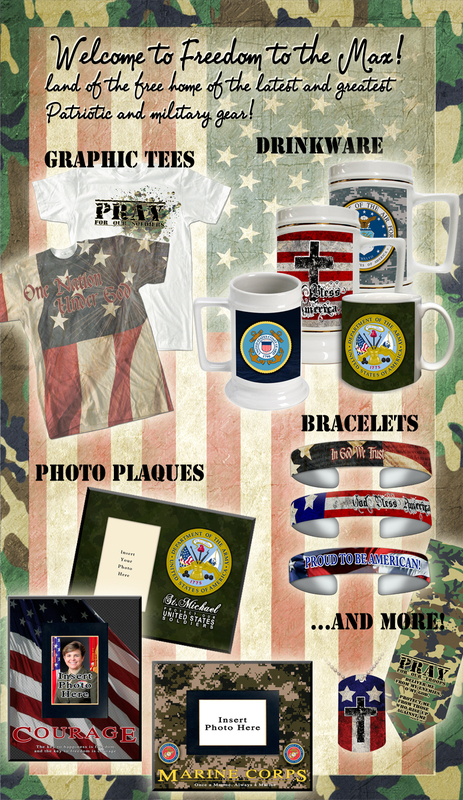 Our product line can be found in museums for military branches, historical sites, and state capitol gift shops. If you don't see Freedom the Max products there, ask the shop manager to carry them!